Laser hair removal is one of the most popular non-invasive treatments today for both men and women. These treatments permanently reduce or remove unwanted hair from a person’s chest, legs, arms, armpits and well, just about anywhere you’d imagine. Though laser hair removal has been FDA approved and performed since 1997, plenty of people still have questions about it. Dr. Mulholland answers a few questions below regarding the treatment. Before you have your liposuction surgery, you’ll have to arm yourself with the realities and expectations from the surgery. It’s a very common misconception that liposuction is a way to lose weight, but it’s not. Plastic surgeons often explain to their patients that liposuction is a sculpting procedure, not a weight loss treatment. OxyGeneo facials are often called super facials because it’s a 3-in-1 facial. They exfoliate, infuse and oxygenate the skin. Since the OxyGeneo is suitable for all skin types, healthcare professionals say these gentle facials are better than microdermabrasion. What does the OxyGeneo do? The OxyGeneo exfoliates the upper skin layer and removes dead skin cells to reveal smoother skin. It delivers products and ingredients that are rich in nutrients to cleanse and revive your skin. The OxyGeneo produces CO2 bubbles that burst gently on the skin. When this happens, the skin absorbs all of the active ingredients and nutrients better. Cosmetics and facials are always touted as the ways to achieve beautiful, clear skin. Instead of heading to the cosmetic counters and beauty clinics to achieve flawless skin, have you considered looking into your fridge? As the age-old saying goes, you are what you eat. 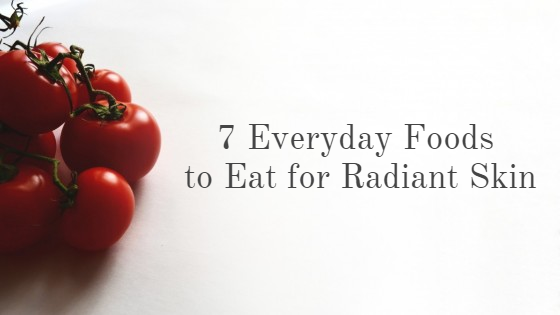 These are 7 everyday foods that you can easily incorporate into your meals and snacks so you can eat your way to radiant skin. Are you trying to find the right plastic surgeon for your cosmetic procedure? Ask plastic surgeons these 6 important questions before you make a decision. When considering plastic surgery, people tend to have several questions about their procedure of interest. Dr. Mulholland, a Toronto plastic surgeon, always encourages his patients to do their research and ask whatever they want to know before making decisions. 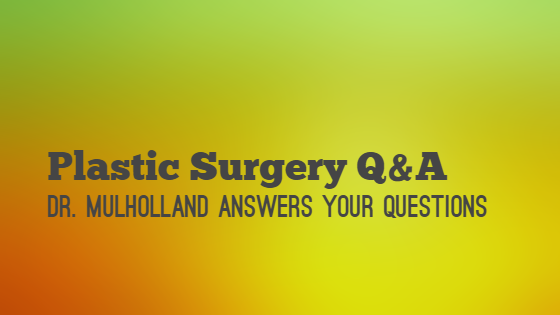 Below are just a couple of questions Dr. Mulholland answered regarding travelling abroad for plastic surgery, facial asymmetry and losing weight before surgery. What do you do when your relationship goes sour and you’re still walking around with a tattoo of your ex-lover’s name? Don’t worry—not all hope is lost. These are 3 ways to cover it up.